Mega Bloks Call of Duty 06866 Motorbike Breakout review! Ooh, nice new (old) bike build and a named figure! Video: Mega Bloks Call of Duty 06866 Motorbike Breakout review! Build the Call of Duty Motorbike Breakout Collector Construction Set by Mega Bloks. 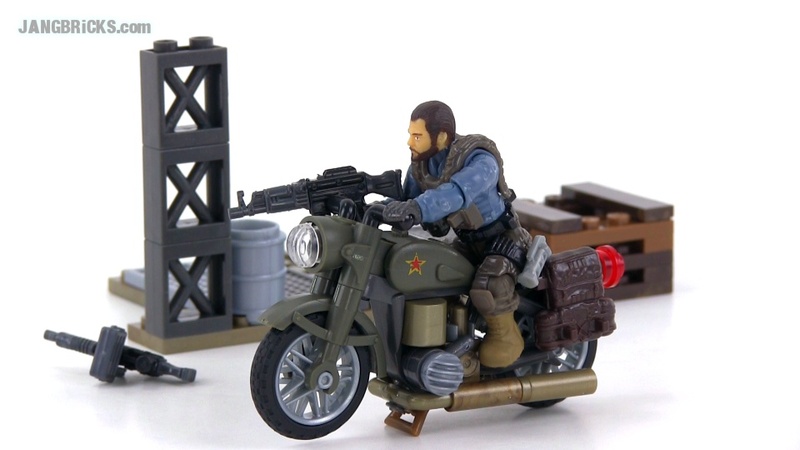 Captain Alex Mason micro action figure is ready for escape with a highly detailed, mountable motorbike that features spinning tires, realistic features, kickstand and emblem. Buildable base replicates a warehouse floor holding cell, complete with a barrel, support beam and assorted realistic elements.